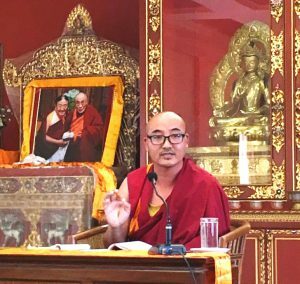 IBA offers free regular Dharma talks for the general public in English, Nepali and Tibetan. These talks are given by IBA’s resident scholars, all of which have completed their studies of Buddhist philosophy at their respective monastic universities. The talks in English cater in particular for tourists and residents who are interested in learning about the Dharma. Each week a new topic is introduced, covering various aspects of Buddhist thought and practice. With the talks in Nepali and Tibetan language, IBA reaches out to local communities, offering both explanations of the basics of Buddhism and instructions for daily practice. Time and program to be confirmed.